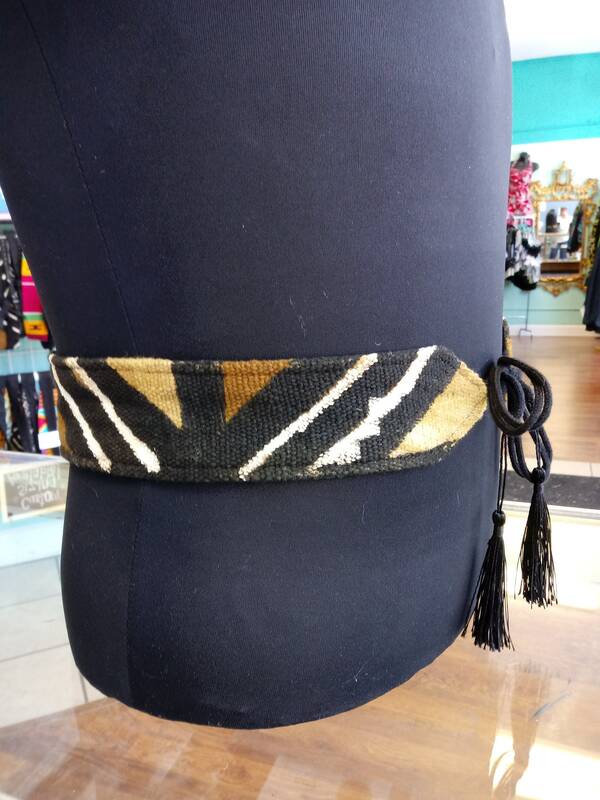 These stylish belts are a perfect addition to your favorite dress, tunic, or long cardigan. 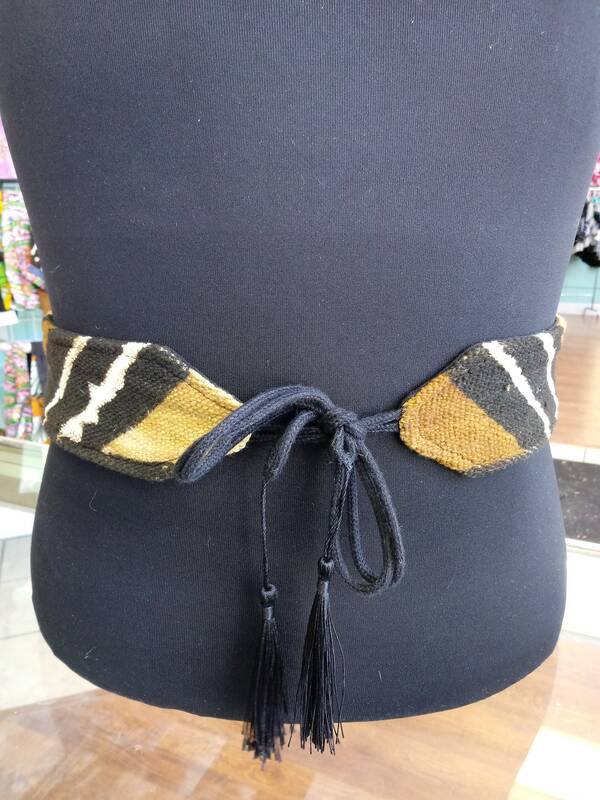 It is handmade with a bright African Kente cloth. 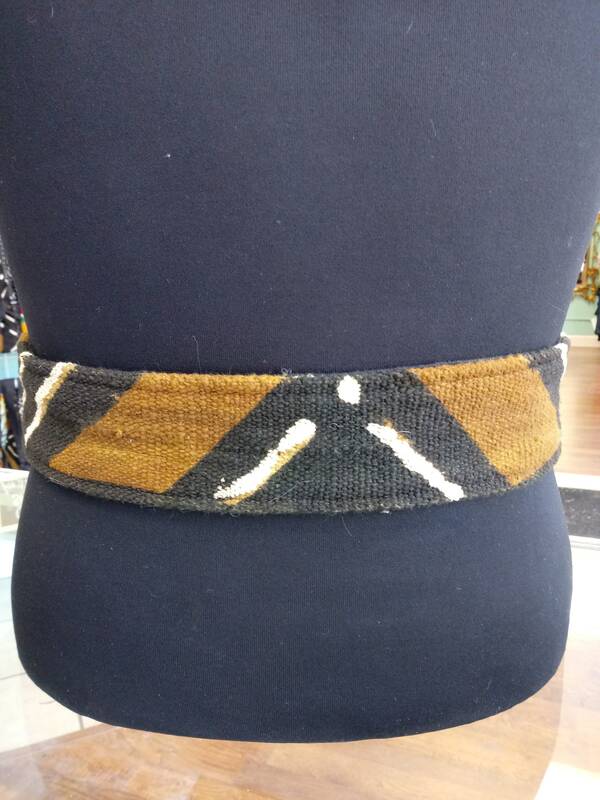 These belts are 100% reversible. 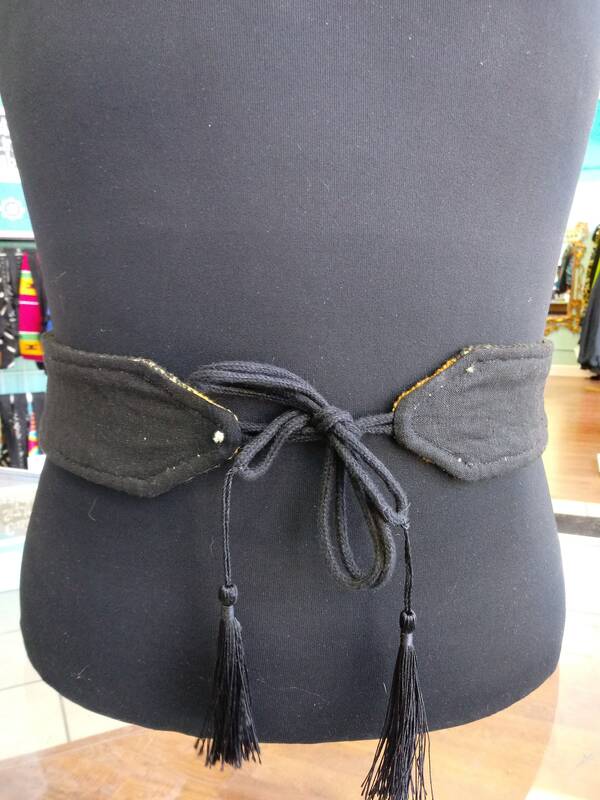 Worn around the waist, accentuate your curves and cinch your waist with the colorful side, or flip it for black. Mudcloth is a handwoven, hand dyed textile from Mali. Directly sourced.